Old: A primary residential parent and a non-residential parent were designated. New: No designation like this. Old:Parents referred to as “primary” and “secondary”. New: Referred to as “mother” and “father”. Old: Primary parent had “custody” of the child or children. New: The term “custody” is no longer used. Old:General visitation guidelines were okay. New:Specific timesharing agreement is required. Old:Secondary parent visited with the child. New: “Visitation” is no longer used. The new term is “timesharing”. These are just a few of the important changes in the parent child relationship that took place. 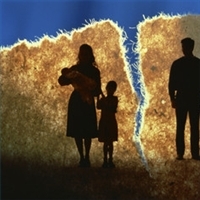 When making decisions regarding your children’s welfare during a divorce or separation of the parents it is important to discuss the changes with a Florida Family Law Attorney.